Designed to accommodate the owner’s extensive plant collection, this new brick and glass orangery harks back to a tradition of plant collecting associated with grand country houses. 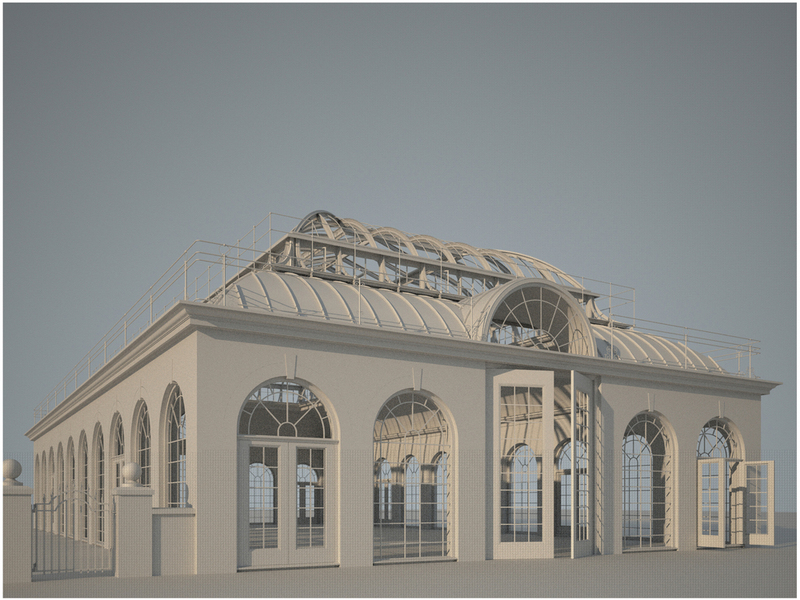 Drawing on the great botanic gardens of Victorian Britain, the building plan is based around a central glazed hall with a lower glazed perimeter aisle and a series of gauged brick arches in the masonry walls. Heated via a biomass boiler utilising an under floor heating system, the building will provide a controlled environment in which to grow temperate specimens as well as extending the growing season for native species.